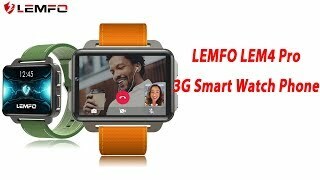 The lem4 smart watch Smart Watche is manufactured by LEMFO and was added around March 2018 and is part of the Lemfo Lem4 Smart Watch series. 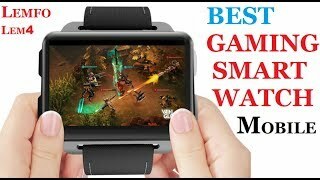 This version of the Smart Watche comes in Color : Black , Special Features : Chronograph , Special Features : Alarm , Special Features : Multiple Time Zones , Watch Shape : Other , Strap Material : Silicone , Watch Type : Other , Watch Movement : Quartz. 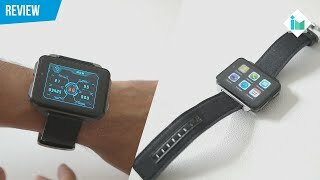 The model comes in 9 other variations including combination of Black Color , Chronograph, Alarm, Multiple Time Zones Special Features , Silicone Strap Material , Quartz Watch Movement , Other Watch Shape , Other Watch Type. 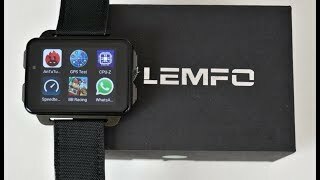 The best price for the Lemfo Lem4 Smart Watch in Dubai, UAE is AED 429 sold at LetsTango and available with free shipping and delivery within Next day delivery for most orders. LEMFO LEM4 vs Makibes DM98 - Which should you buy?